While viewing faces, human adults often demonstrate a natural gaze bias towards the left visual field, that is, the right side of the viewee’s face is often inspected first and for longer periods. 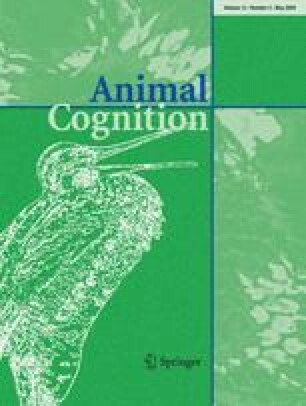 Using a preferential looking paradigm, we demonstrate that this bias is neither uniquely human nor limited to primates, and provide evidence to help elucidate its biological function within a broader social cognitive framework. We observed that 6-month-old infants showed a wider tendency for left gaze preference towards objects and faces of different species and orientation, while in adults the bias appears only towards upright human faces. Rhesus monkeys showed a left gaze bias towards upright human and monkey faces, but not towards inverted faces. Domestic dogs, however, only demonstrated a left gaze bias towards human faces, but not towards monkey or dog faces, nor to inanimate object images. Our findings suggest that face- and species-sensitive gaze asymmetry is more widespread in the animal kingdom than previously recognised, is not constrained by attentional or scanning bias, and could be shaped by experience to develop adaptive behavioural significance.